An important part of Balkan folk literature, oral ballads of the Muslims in Bosnia-Herzegovina are part of the European tradition of ballads. 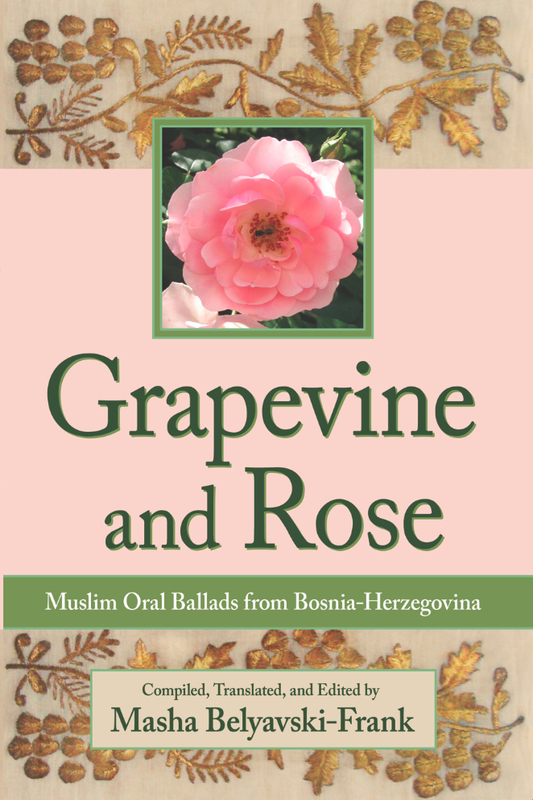 One of the broad themes that one encounters repeatedly in Bosnian Muslim oral ballads is the stepping outside of boundaries by the protagonist. In order to protect his honor, to be faithful to his religion, or to be faithful to his beloved, the protagonist follows a higher command despite the dictates or expectations of society and in that lies his tragedy. There is a great variety of symbolism to be found in these ballads, a symbolism that is often both delicate and subtle. Emotions are expressed by objects that have rich layers of connotations beyond their immediate use. Symbolism related to embroidery is very common. As a girl embroiders in a high tower by a window or in a garden, events unfold around her, and the embroidery or her embroidery frame symbolizes her emotions. Other symbolic objects are associated with men, such as the tambura, a type of stringed instrument. The hero will pick up his tambura and sing of his emotions, which may not be expressed in speech. This anthology contains a range of ballads, including those with historical and cultural references, as well as references to traditional Bosnian folk beliefs. Included are well-known ballads, such as “Hasanaginica,” also known as “What Gleams White On The Green Mountain,” as well as two ballads on the death of the Morić brothers of Sarajevo. But there are also rarer gems, including the brief, but highly emotional, “I Dreamt A Dream.” Finally, this bilingual anthology contains an extensive introduction with discussion of poetic doublets, loanwords, and symbolism as well as the cultural framework, which helps to shape these ballads and inform their place as one of the major genres of Bosnian folk literature.